Although it's a bit confusing at the beginning, it never struck me as a "WTF" anime. But the recent turn of events suggests that it wants to become a "WTF" of the season award contender. 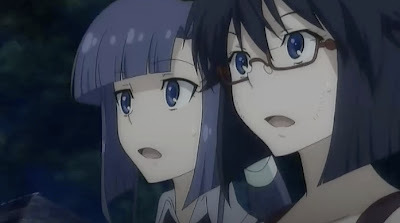 I guess the difference in the WTF'ness between Asura Cryin' and Sora Kake Girl is that when something weird happens, the characters in Asura Cryin' also questions "WTF? ", whereas in Sora Kake Girl, everybody seems to just accept it as something that happens in an ordinary day. Sengoku Basara: How ridiculous can it get?